I am a longtime L'Oreal lover, and when I spied with my little eyes these new pencil shaped lipsticks, I couldn't leave them behind me. Since Revlon released their Just Bitten Kissable Balm Stains last year, I have been like a woman possessed for all these pencils and I keep picking up versions from all the different brands. Given my hugely positive experiences from L'Oreal lip products over the last few years, I had high expectations of these L'Oreal ones! Now that my lips are finally recovered from their parchedness and chappedness of the last few weeks, I have been experimenting with colour again and I've put these bad boys through their paces over the last week. 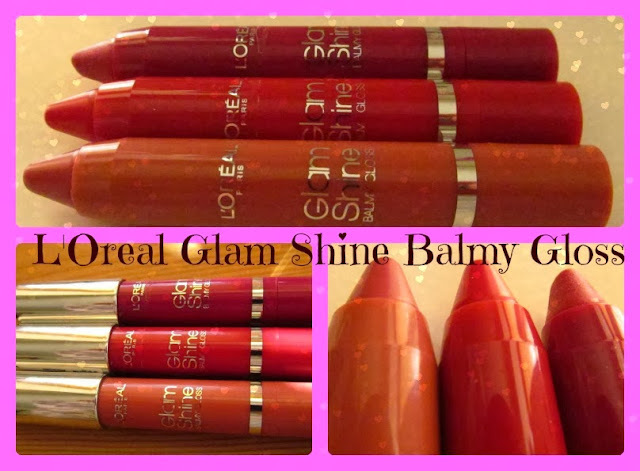 First things first, these retail for €10.75 which is cheaper than some of their rivals and alot of the other lip products chez L'Oreal, There are six colours available, all of them are very lovely. I picked up three to begin with but, as I did with the Rouge Caresse lipsticks, I will probably end up going back for the whole family over time. 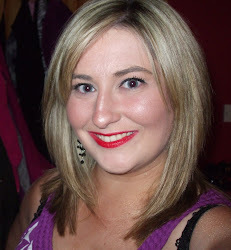 As far as I am aware, they are the first foray into the lip crayon market that L'Oreal have engaged with. All that business aside, I got on quite fabulously with these. These beauts are so incredibly creamy and glossy, and they are nice and moisturising on the lips. They have a really pleasant texture on the lips- light- but not light enough that you feel like your lips are naked. The pigmentation is definitely buildable which appeals to me no end and they are built up very easily and can be built up to an opaque finish. These also fade gradually somewhat instead of slipping off my lips or getting patchy over time- but unlike their Revlon first cousins, they don't stain your lips. These lasted me about 4 hours before reapplying, which I think is pretty decent considering they stayed buttery and glossy on my lips, and they are a dream to reapply because of the crayon bullet. Also, the colour of the packaging of the product is indicative of the colour of the product and if you have been reading my blog for any length of time, you will know what this means to me!!! I love the packaging of these. The colours themselves are gorgeous- unusually for me, I loved the whole selection and strained to pick out three for purchasing! They were all just so juicy and glossy and wearable. In the end, I went for three- Mad for Pomegranate is a gorgeous cool pinkish red with a little bit of very fine shimmer running through it. Sin for Peach is a more pink than peach MLBB colour, and whilst I haven't smokied my eyes since I got this, I imagine this would be a match made in heaven with a smokey eye. Finally, I went for a glittery blue toned fuchsia in Dare the Dragon Fruit- this clearly has glitter running through it as is evident from the tube and from the product, but it's not a chunky glitter, you can't feel it on your lips, it doesn't settle into the cracks of your lips and provides a lovely iridescence. Now I have talked the talk but as we all know now, the lips don't lie, so check out the lip swatches below for a better peak at these balmy glosses in action. oohh Sin for Peach looks Lovely!